Paul Smith’s College does not recycle, when in actuality, they do. the recycling on the campus. is thrown away if it isn’t contaminated. must be washed out and clean. Another issue is when full coffees are thrown into the recycling. The coffee contaminates everything else within the bag, therefore the bag must be thrown out. recycling even make a difference? effect on human’s health, imagine the effect that plastic has on the environment. there are an estimated 300 million plastic bags that accumulate in the Atlantic Ocean each year. the airway of many animals, causing so many needless deaths each year. will help not only our environment, but also the student workers that have to sort it each day. Jordan, Tom, and Julie here. When sorting though this weeks recycling we noted that there were a lot of coffee cups and Doritos bags in the recycling bags – these items are not recyclable. Common issues also include containers not being emptied and rinsed of food and/or drinks. PLEASE RINSE CONTAINERS OUT BEFORE YOU RECYCLE THEM. We also did not appreciate the dead animal left by the dumpster. If you are a hunter, please properly dispose of any animals carcasses. Thank you and happy recycling! 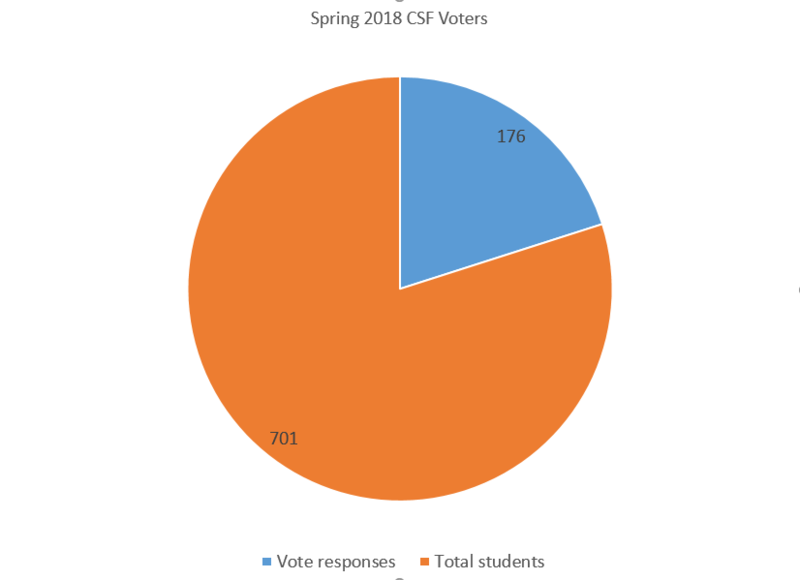 This Spring 2018, the Campus Sustainability Fund had three over $500 proposals that went to campus-wide, student vote. The first proposal was for SAM Fest for $2,000; the second was for the Adirondack to Appenio Sustainable Parks Communities Project for $950; and the third was for VIC Café Supplies for $8,692.54. I am happy to announce that all three proposals were passed by the students. We had 176 students who voted, which is about 25% of the student body. There is also one under $500 proposal that has been passed so far this semester. It was for a guest speaker, Sara Safari, for $461.50. Since Fall 2013, the Campus Sustainability Fund has funded over 40 projects that have helped our campus community. Thank you to all who have voted. If you would like more information on these proposals, or any previous ones, please visit our website http://www.paulsmiths.edu/sustainability/campus-sustainability-fund/. Also, please remember that we are still accepting under $500 proposals until April 30th.